It’s a simple fact. Not all car dealerships are created equal. As you may have already noticed, we do things a little differently. The secret of our success comes in part from the Disney Institute in Orlando, Florida. Embracing the Disney culture was a commitment made some twenty years ago as a way to improve our business model. Disney’s customer service is undeniably “Best in Class”. Doing business the Disney way gives us a competitive advantage from the sales floor to our service facilities. Today, our entire cast works in concert with the attitude,teamwork, and commitment necessary to achieve the ultimate goal of complete customer satisfaction. Compare ourway of doing business with the competition and you will always come back to “Best”. Like Disney, we create happiness. 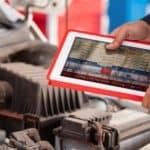 Customer retention is a key indicator in the automotive industry. According to Chevrolet Motor Division, our guests return to the dealership on a far more consistent basis than the industry average. This measurement is a true testament to our Disney culture. Our vision is clear. We will never stop listening and learning new ways to improve customer service. That’s our promise. We’re proud of our Disney inspired success story and would like to share it with you. 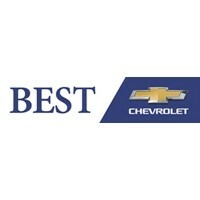 To learn more, go to www.disneyinstitute.com, click on client impact, case studies, Best Chevrolet. What should I do if my vehicle is damaged from a storm? If your vehicle has storm damage and you are wondering if you are covered; look no further. Contact your insurance agency immediately. They will guide you on the best options for your event. In the meantime, you can do the following to help with your records….